Promenading the Colours in front of Buckingham palace prior to the Changing of the Guard. LONDON – The thousands of tourists assembled outside the gates of Buckingham Palace were in for a spectacular show as soldiers from India Company; 2 RCR, marched their way around the Queen Victoria Monument and into the palace forecourt. The scarlet-banded Wolesley helmets of the new guard, and distinctive sound and dress of the 2 RCR Pipes and Drums, all contributed to the uniquely Canadian feel of the ceremony. "It was a pretty good feeling coming out of Wellington Barracks with the big crowd there," said Pte Shane Laver, a rifleman from Duncan, BC. "It was amazing to see everyone there, and I think there were even a few people waving Canadian flags. Just having all those people look at you made you feel proud. 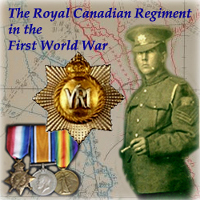 We're representing Canada and The Royal Canadian Regiment." After the salutes, inspections, and ceremonial key change, the Old Guard was relieved of duty and returned to Wellington Barracks, impressed with the performance of the Canadians. "They looked very sharp coming through the gates of Buckingham Palace," said Lt Christopher Blencowe, the ensign of the Old Guard, from the 2nd battalion Grenadier Guards. The whole performance went off without a flaw," said Pte Laver afterwards. "We've had a lot of compliments from the British units themselves to say what an amazing job and how well trained our soldiers are, even in the sentry posts." After all the pomp and ceremony; the soldiers began the actual guard function of their duties, standing at sentry posts, and patrolling their areas. "Being in a guard box on the street in front of the crowd, the tourists, and the locals was a blast," said Pte Bradley Martin of Courtenay; BC. "It was a lot of fun having the crowd come up and try to make you move and make you laugh to forget what your job is being there, but they couldn't do it. They were all impressed." 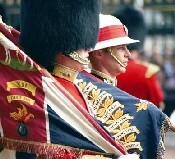 Six times throughout the month of September [of 1999], 96 soldiers from 2 RCR will mount and support the Queens Guard. Their duties include ceremonial and security functions at Buckingham Palace, St James's Palace, and the Tower of London. The tasking, known as Operation Parapet, is once in a lifetime opportunity for the soldiers primarily of India Company. "I've said to the soldiers, this is perhaps the highlight of a career to actually come over here and be given the honour of mounting a guard," said Major John Fife, the Canadian Queen's Guard Commander, during an opportunity with the media. "It is really a high honour for us to be here." The tasking coincides with the 100th anniversary of the Regiment's participation in the Boer War, marked by a famous victory at Paardeberg in South Africa in February 1900. 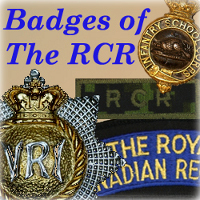 It is certainly one of the highlights of a year's worth of RCR celebrations to remember their proud history.